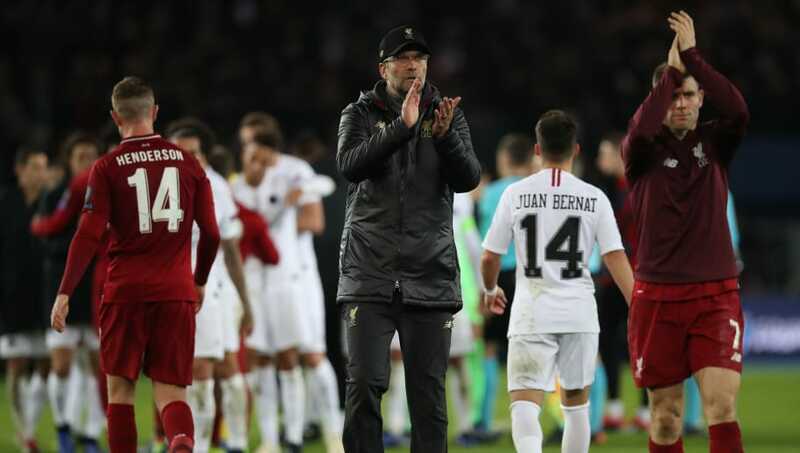 ​In the wake of ​Liverpool's defeat to Paris Saint-Germain on Wednesday, ex-Liverpool striker Dean Saunders has suggested that Jurgen Klopp's midfield 'looked a bit short last night' and needs to be revamped and revitalised. In the middle of the park, ​​Liverpool struggled to deal with Paris Saint-Germain's blistering attacks. They now face the unwelcome task of having to beat ​Napoli at Anfield in their final group game by winning with a 1-0 scoreline, or by two clear goals. Speaking on ​talkSport, Saunders argued that ​Liverpool got 'a bit outclassed in midfield', but also gave a critical analysis of ​James Milner's performance in Paris. Despite converting a penalty in the 2-1 loss at Parc des Princes, the former Wales forward called Milner: "A great professional and he’s having a great season, but he’s not a centre midfield player really. He’s a winger and he’s been a winger all his life, but he’s gone in there and he’s doing a great job, he’s got a great attitude." His measured appraisal of ​Liverpool's midfielder doesn't stop there, as he went on to discuss the relative shortcomings of the Reds' midfield trio against PSG. Saunders added: “Veratti dominated the midfield last night and Henderson, Wijnaldum and Milner, they’re lacking a bit of class, the three of them." The Reds have now suffered three away defeats in the Champions League group stages for the first time in their history. Liverpool have given themselves a mountain to climb to reach the last 16 by beating ​Napoli in a death-or-glory decider against Carlo Ancelotti's men on 11th December.